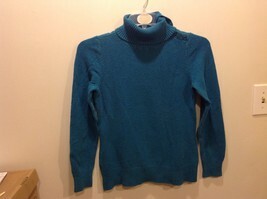 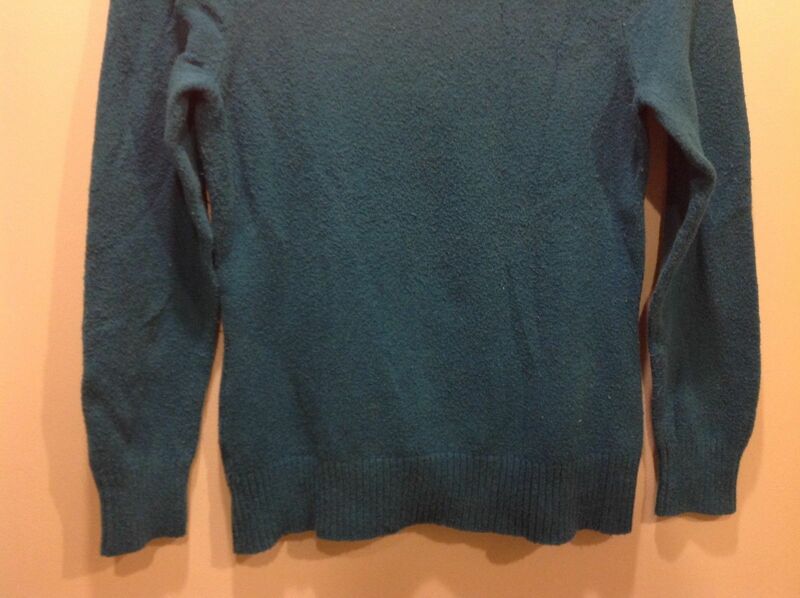 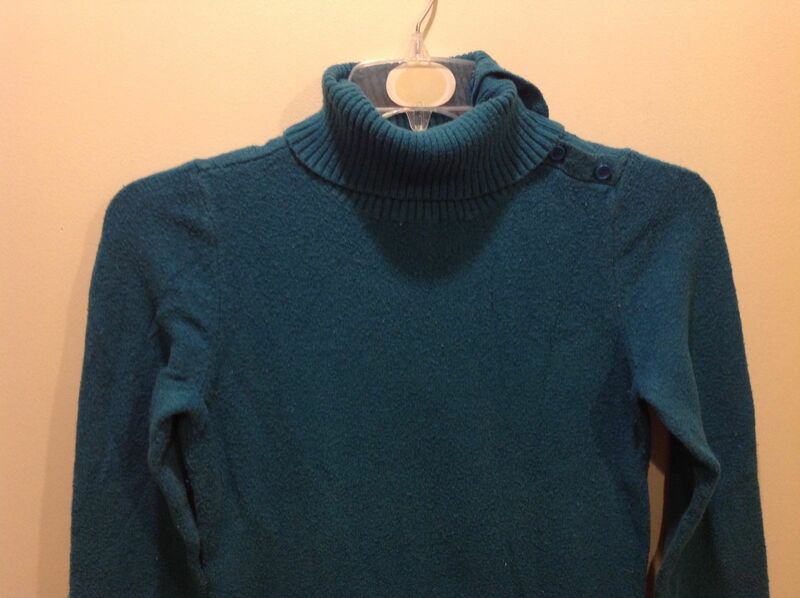 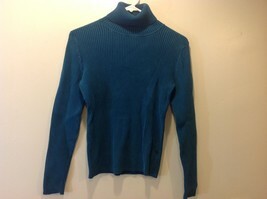 Ladies sea-toned, teal colored, fuzzy pullover turtleneck/mock sweater by 'St. 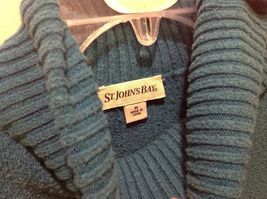 John's Bay'. 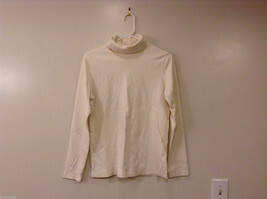 Turtleneck has neck buttons. 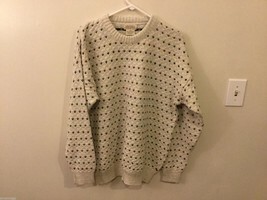 Sweater has a good deal of lint, but is otherwise in good condition! 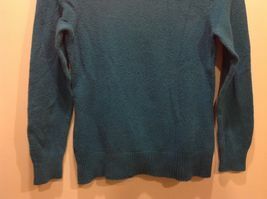 Material 55/21/22/2% cotton-poly-acrylic-spandex blend, size medium! 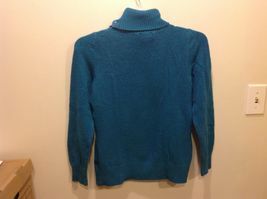 Full Neck: 7.5" (folded) 3.75"